Ernest Estlin Cummings (e.e. cummings) was among the most innovative and influential poets of the twentieth century. Cummings revised grammatical and linguistic rules to suit his own purposes and experimented with poetic form and language to create a distinct personal style. He ignored conventional punctuation and syntax in favor of a dynamic use of language, even inventing his own words by combining common words to create new meanings. Yet despite the nontraditional form of his poems, cummings gained widespread popularity. “No one else has ever made avant-garde, experimental poems so attractive to the general reader,” wrote critic Randall Jarrell. He was at Joy Farm on September 2, 1962, when he suffered a stroke. He died early the next morning at Memorial Hospital in North Conway, New Hampshire. He remains one of the most recognized and widely read American poets of the twentieth century. Joy Farm is on the National Register of Historic Places. 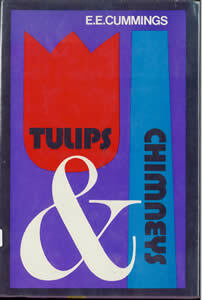 The volume shown here is a reprint of Cummings' original manuscript, with the original title. 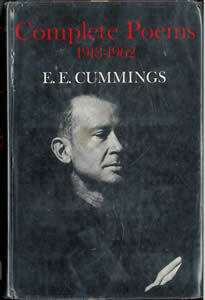 Although best known for his poetry, E. E. Cummings’ first book was a novel. In 1917, Cummings went to France in the early days of World War I to volunteer for the Norton-Harjes Ambulance Service. Through a series of misadventures, he found himself imprisoned by the French under suspicion of treason, until the U.S. entered the war and he was released. 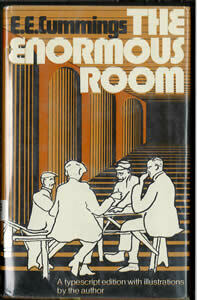 The Enormous Room tells the story of Cummings’ time in captivity. E.E. Cummings was an accomplished painter and illustrator as well as poet. 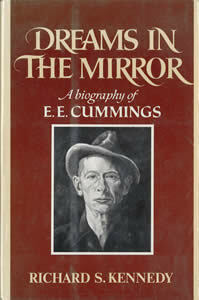 The image shown on the cover of Dreams in the Mirror is a self-portrait by Cummings.